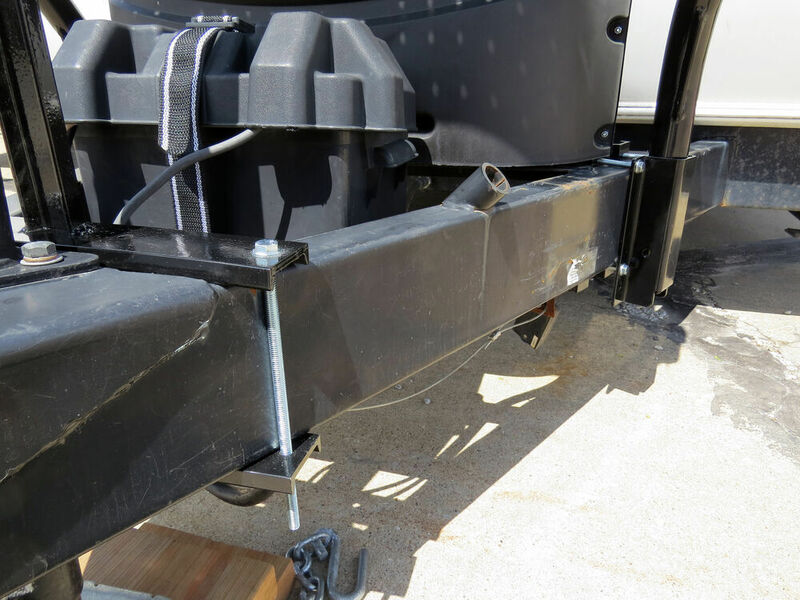 Sturdy, powder coated steel tray mounts to your trailer's A-frame with adjustable supports so you can carry extra gear while you tow. 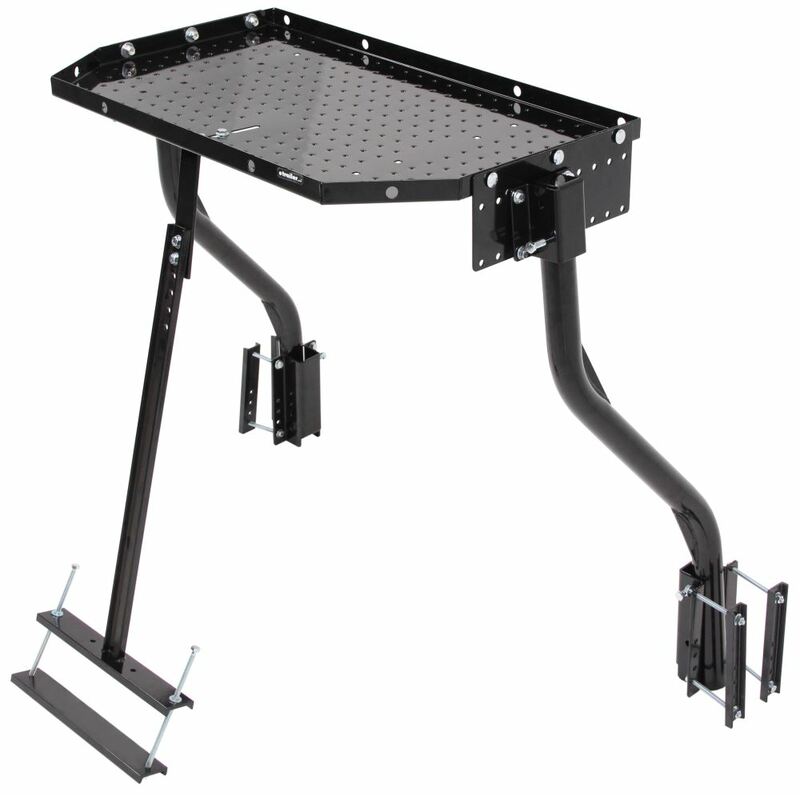 Specially designed to clear weight distribution brackets, propane tanks, and other frame-mounted obstacles. Lowest Prices for the best rv cargo from Stromberg Carlson. Stromberg Carlson Trailer Tray Cargo Carrier for A-Frame Trailers - 300 lbs part number CC-255 can be ordered online at etrailer.com or call 800-298-8924 for expert service. 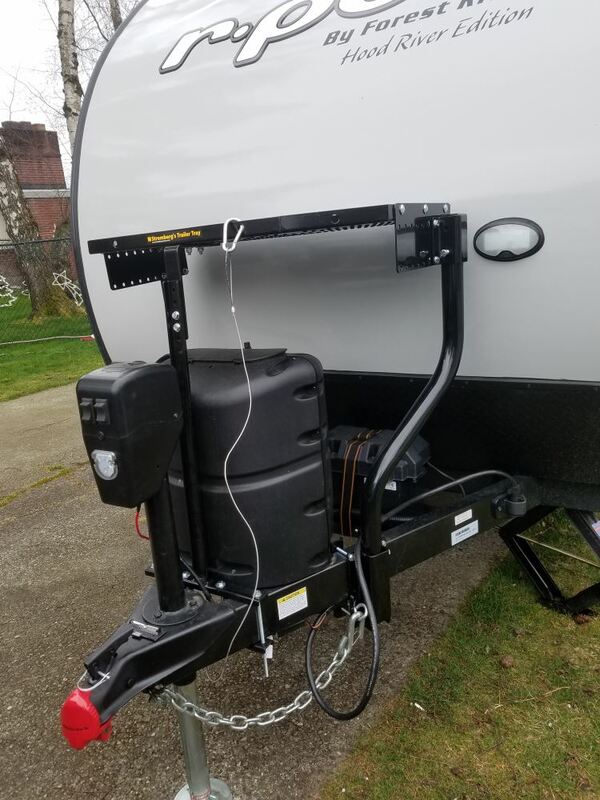 Sturdy, powder coated steel tray mounts to your trailer's A-frame with adjustable supports so you can carry extra gear while you tow. 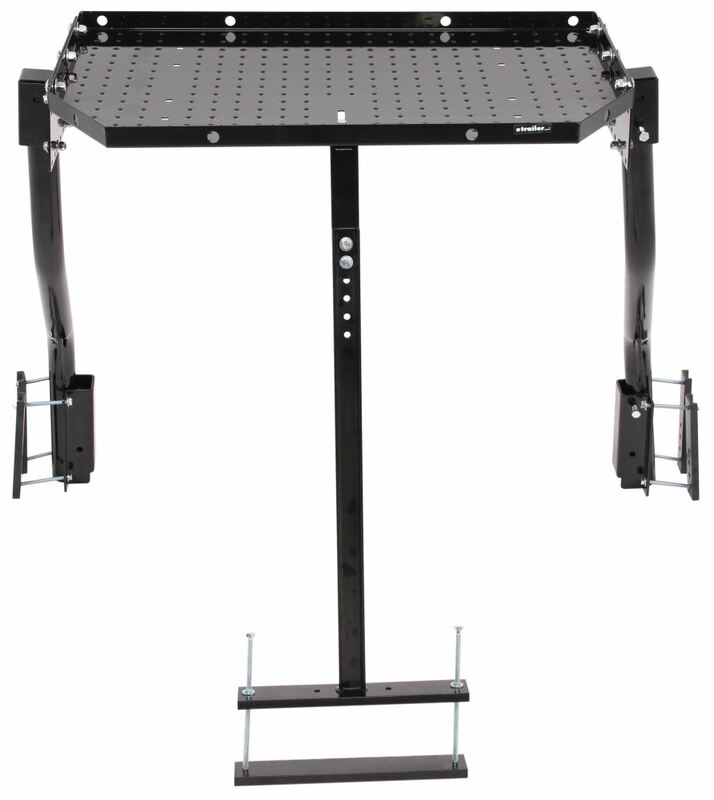 Specially designed to clear weight distribution brackets, propane tanks, and other frame-mounted obstacles. 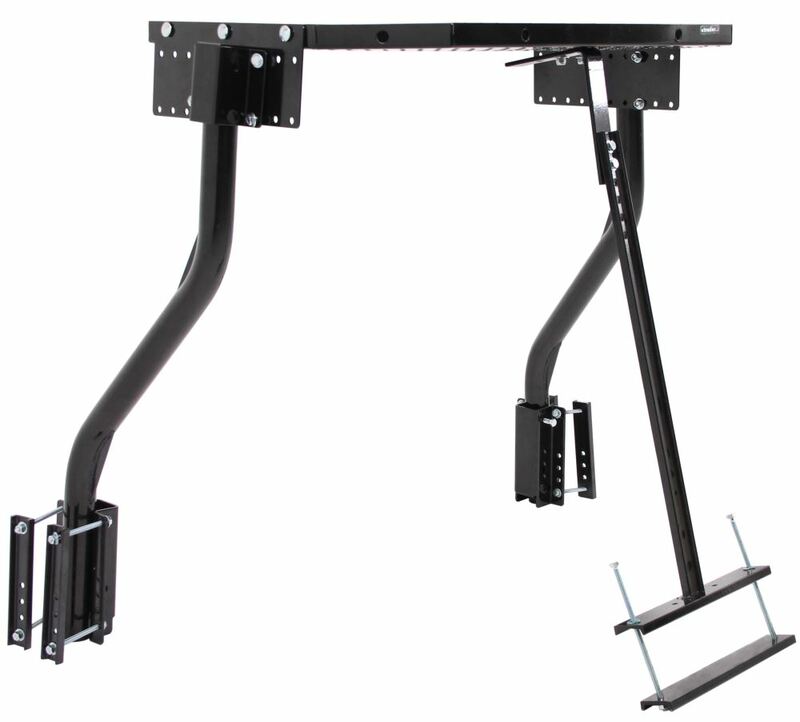 Trailer frame height: 3-1/2" - 6-1/2"
Clearance (above trailer frame): 29"
Who needs a hitch-mounted cargo carrier? 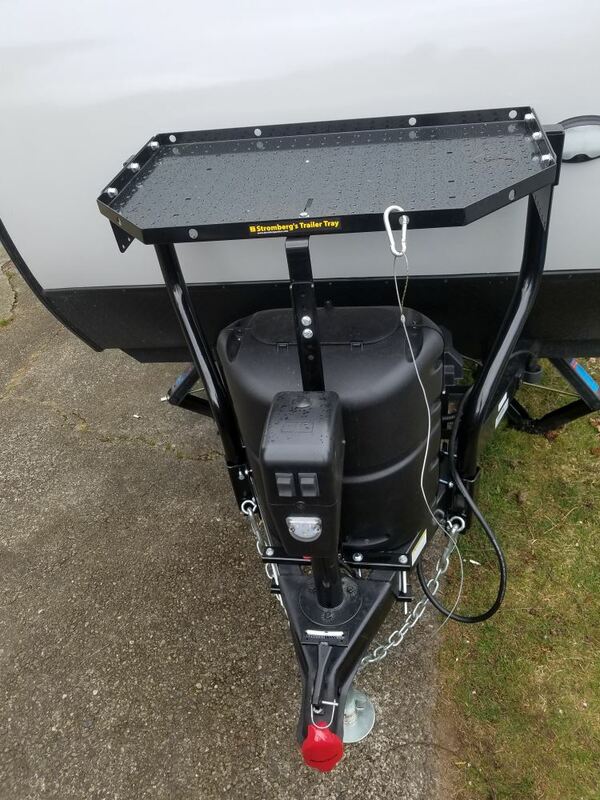 Now you can haul gear as you tow by securing it just above your A-frame trailer tongue using the Trailer Tray from Stromberg Carlson. Keep the interior of your vehicle clean and the interior of your trailer clutter-free. 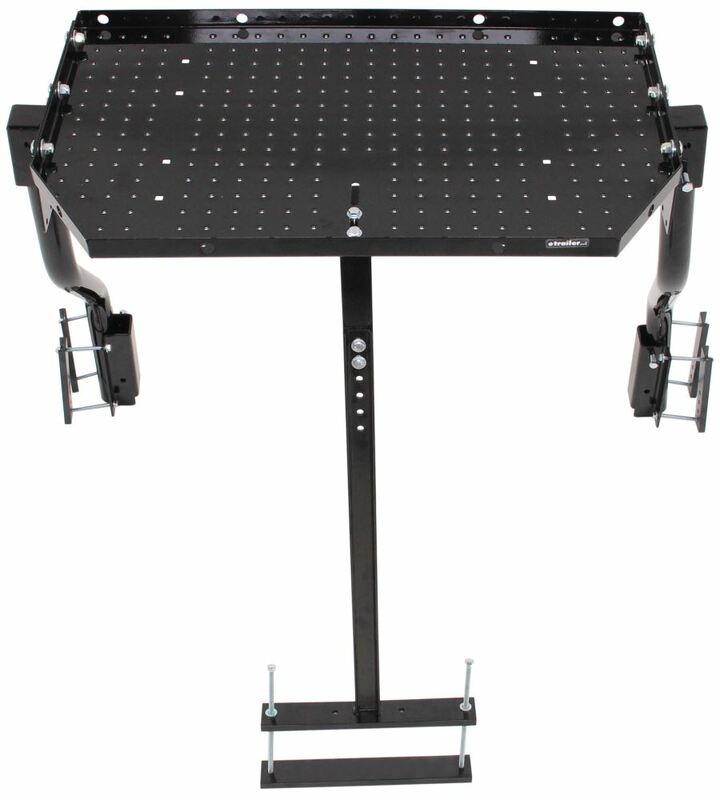 Just clamp the 3 supports onto your A-frame, attach the tray to the supports, and load up to 300 lbs of gear. 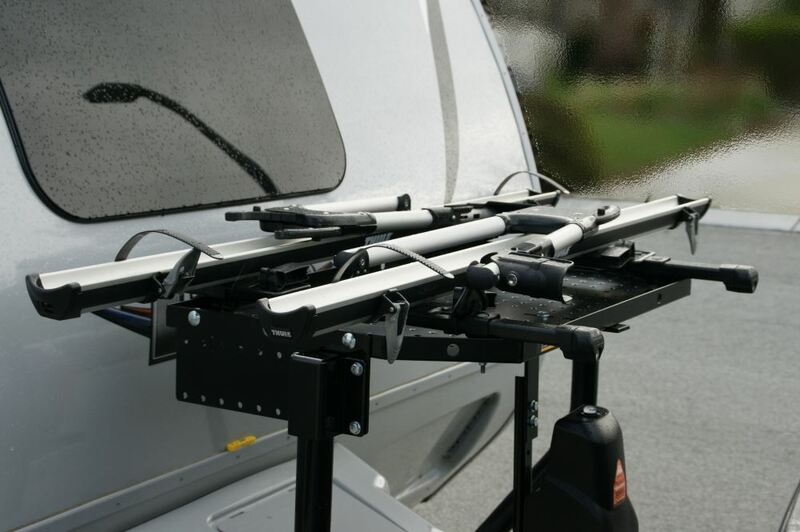 The adjustable design of the Trailer Tray ensures that it will fit almost any A-frame trailer. 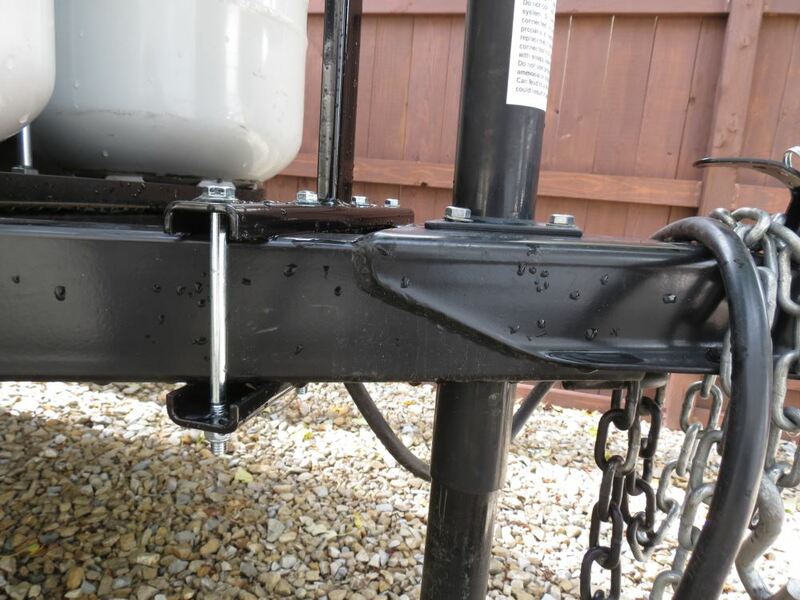 The round-tube side supports can be mounted nearly anywhere along the front of your trailer's frame, making it simple to clear obstacles like weight distribution brackets or a propane tank. Just clamp the mounting pockets onto the sides of the frame with the included hardware. Then place the side supports into the pockets and rotate the supports to achieve proper positioning. 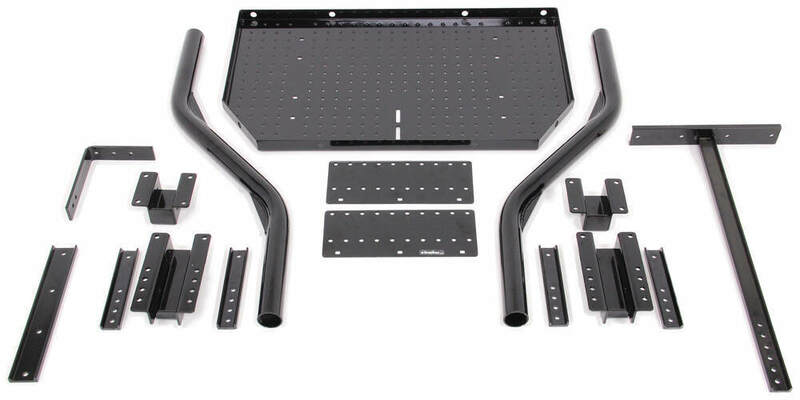 The side mounting plates on the tray allow you move the tray up to 7" fore or aft to line up with the supports. 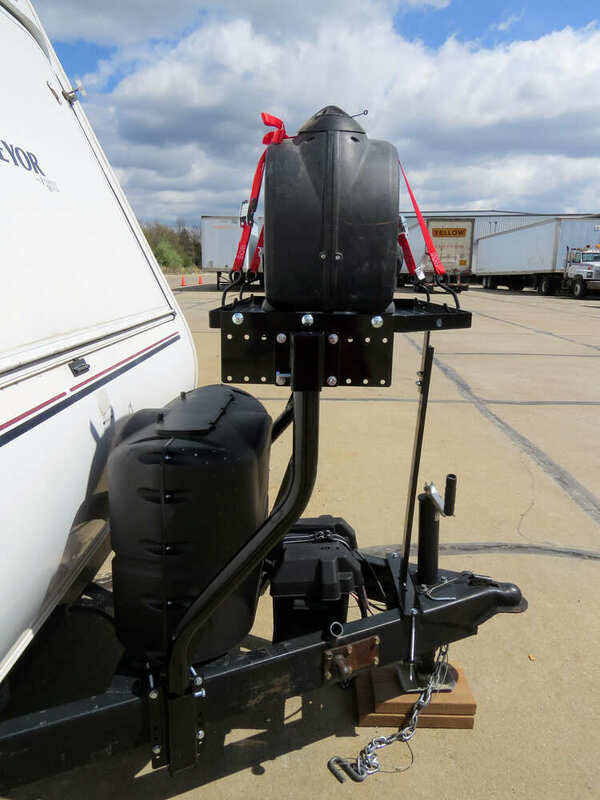 As a result, your load will be properly positioned with the weight evenly distributed no matter where the supports sit along the trailer frame. To attach the tray to the supports, slip the top mounting brackets onto the supports and line them up with holes in the tray's side mounting plates. Bolt the brackets to the plates with the included hardware. 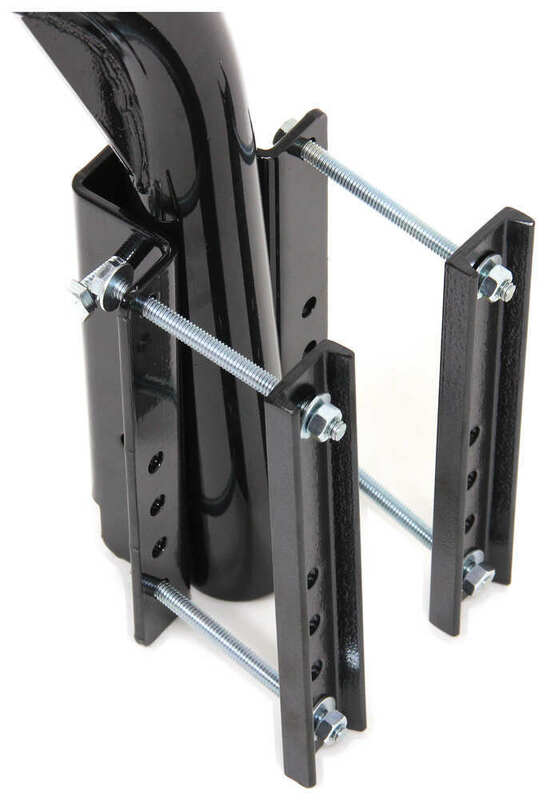 The front support strut also clamps onto your trailer frame. 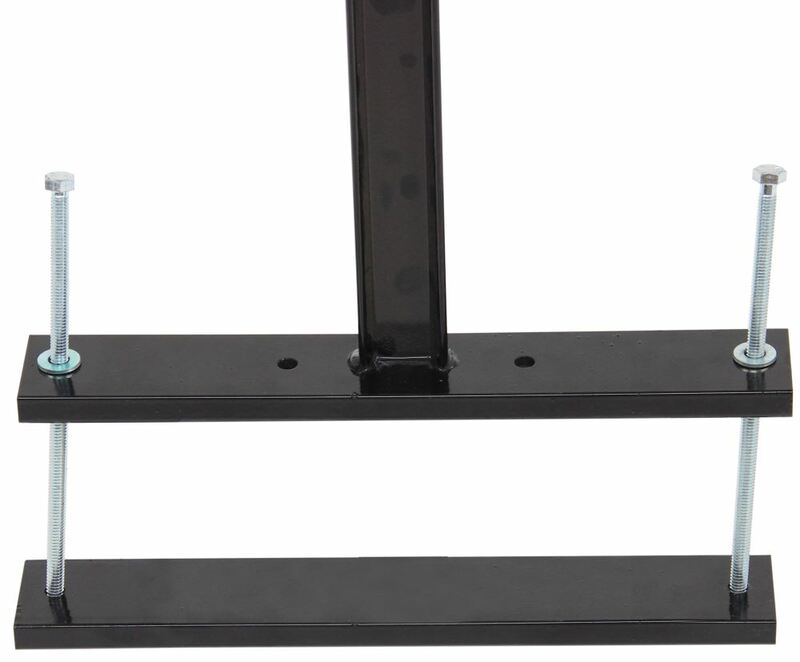 There are 2 positions on the mounting bracket of this support. 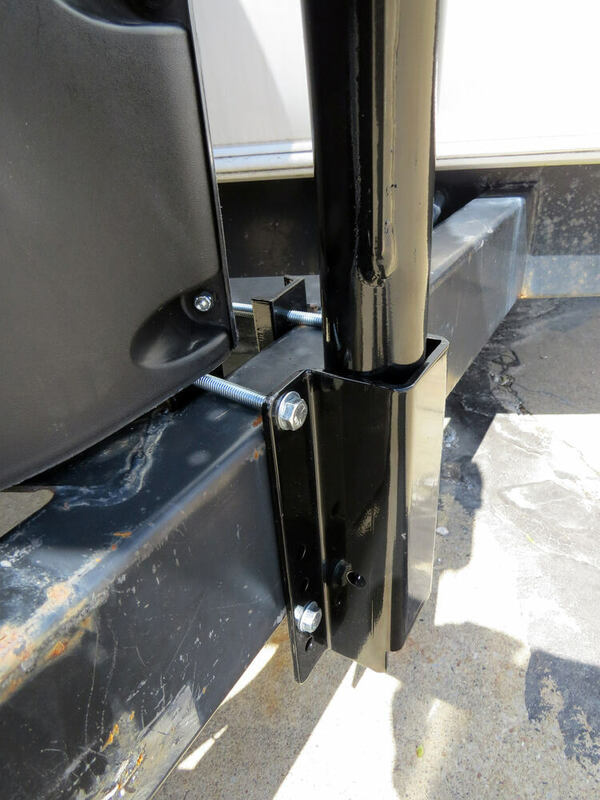 The first position lets you clamp the strut around your trailer's frame with the bolts sitting on the outside of the frame. This is done using the outer predrilled holes on the bracket. 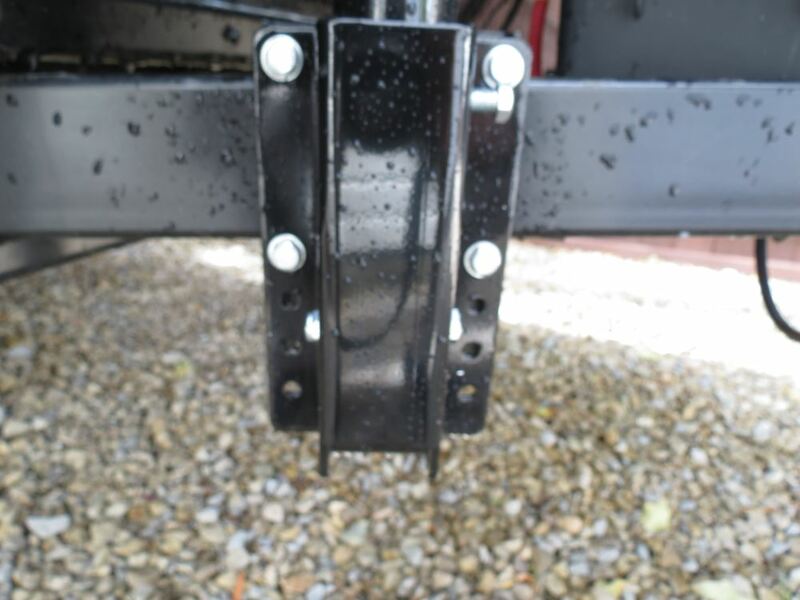 If there are obstacles on the outside of your trailer frame or if you have a jack mounted at the front of your trailer that prevents you from positioning the bolts on the outside of the frame, then use the inner holes. 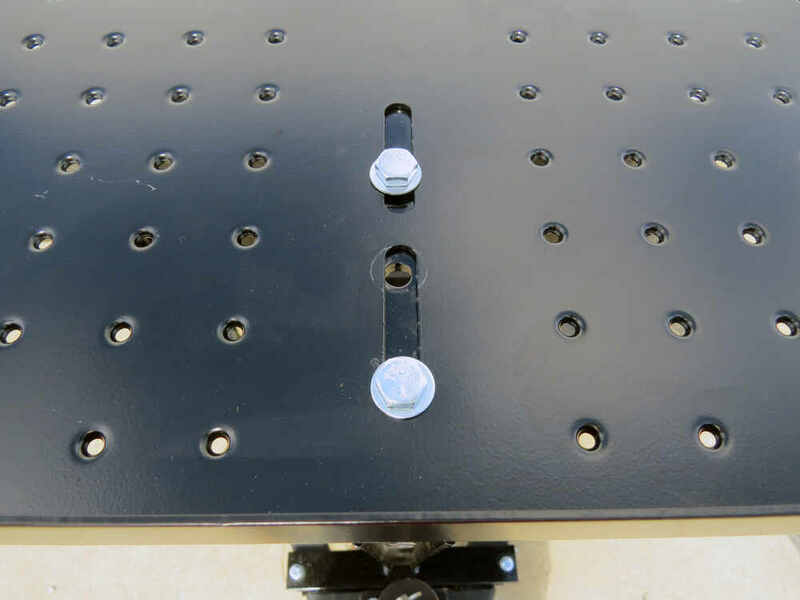 In this position, the bars of the bracket will grip your trailer's frame, but instead of the bracket being held in place at the outer edges, the bars are secured with the bolts sitting inside of the A-frame. 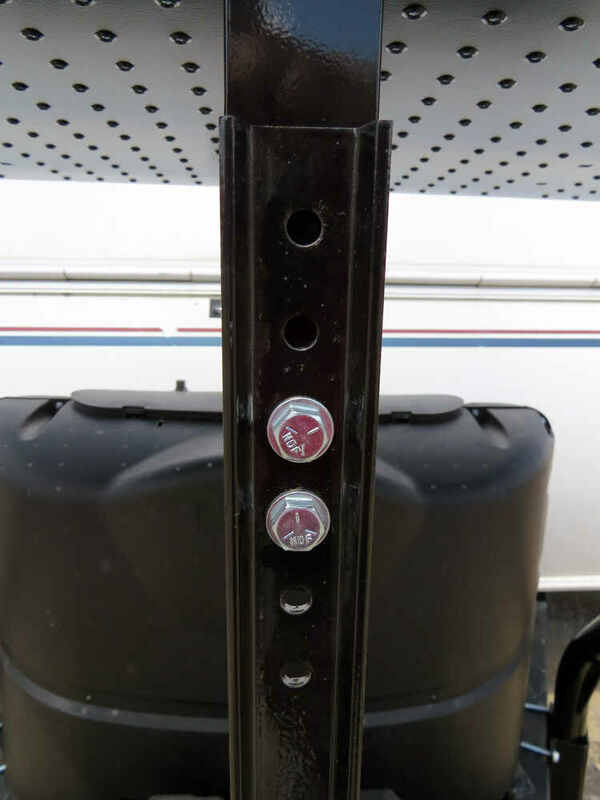 The front strut adds stability to the Trailer Tray. Most of the weight on the tray will be supported by the round side supports. 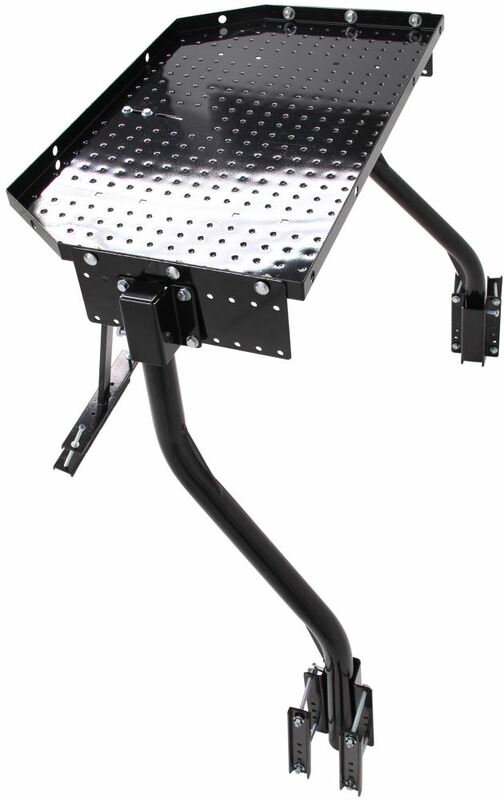 The front strut helps support shifting loads and, therefore, is particularly beneficial when you travel over rough terrain or if you stop short with a heavy load. 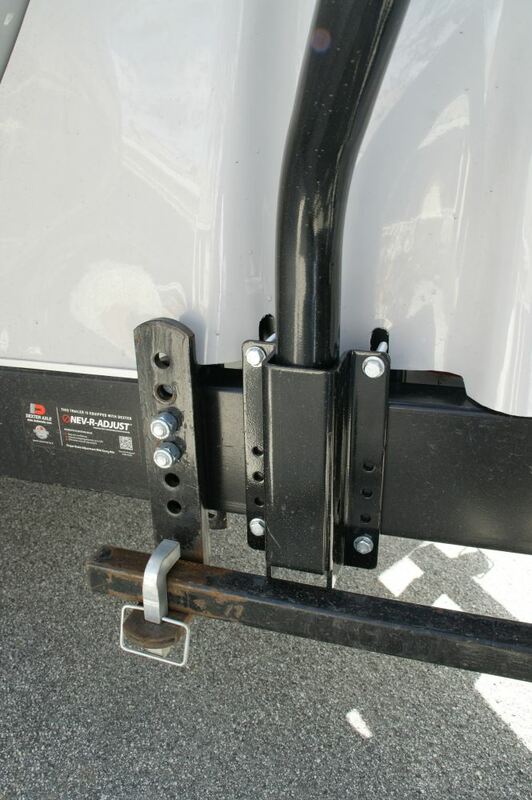 To secure your gear to the Trailer Tray, use the 4 loops that are welded to the tray as tie-down points. Today we're going to be taking a look at the Stromberg Carlson trailer tray cargo carrier for A-frame trailers, part number CC-255. 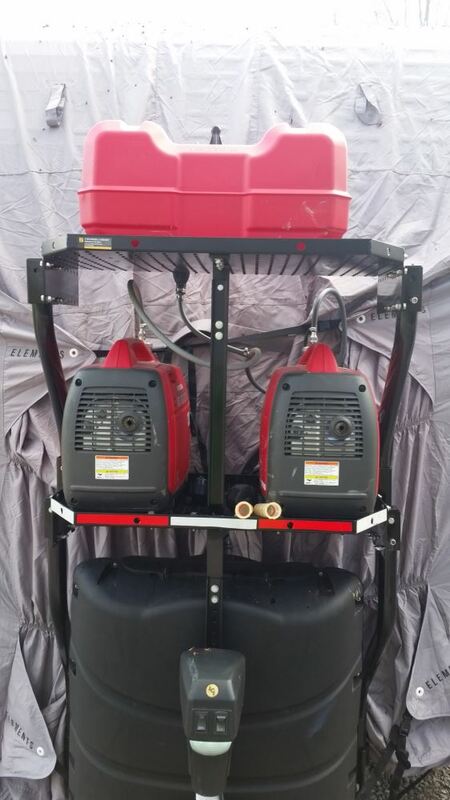 Mount a generator, cooler, compressor, or any other large item on your trailers A-frame. 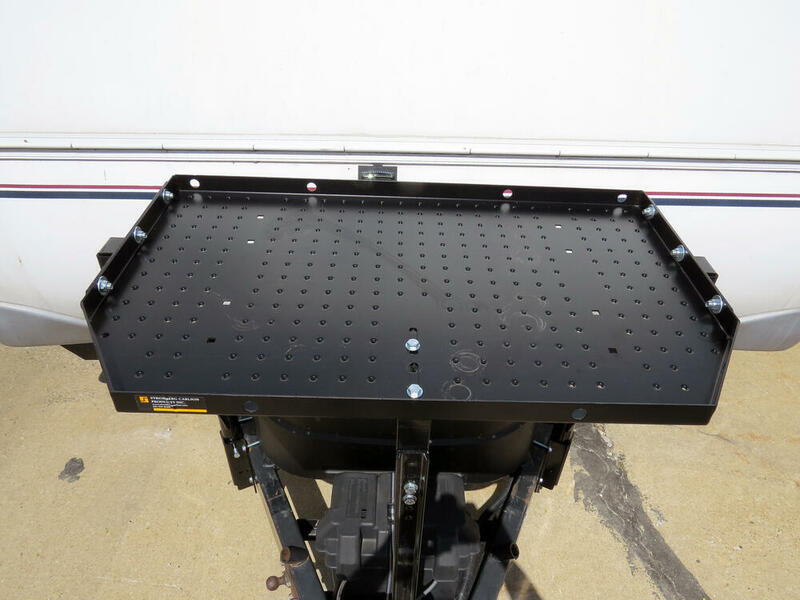 This sturdy tray, is specially designed to clear weight distribution brackets, propane tanks, and any other frame mounted obstacles. 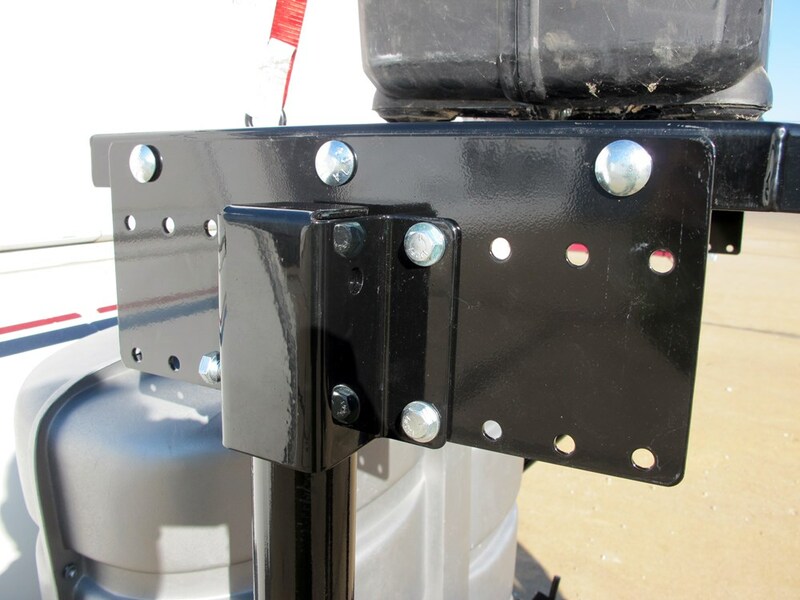 The mounting pockets will attach almost anywhere along your trailer's A-frame making it a universal design so it will accommodate many trailers. 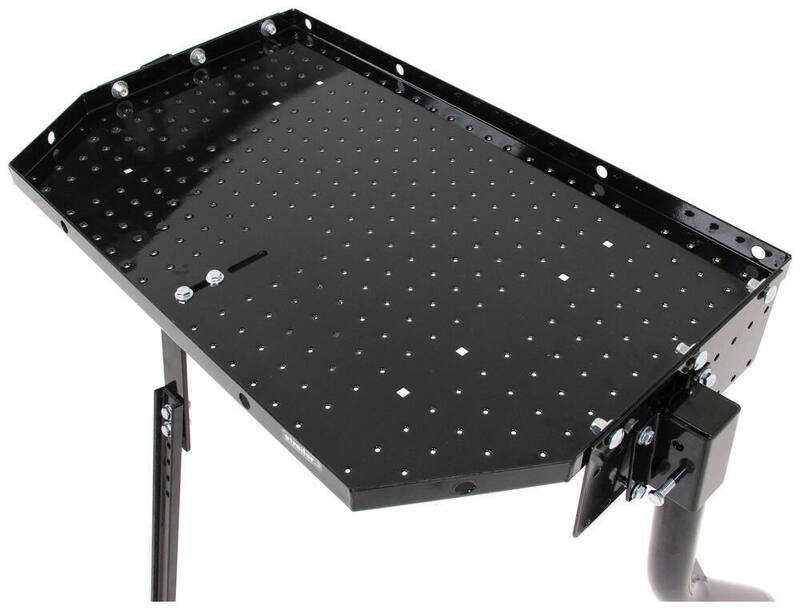 Our two legs provide excellent support for our tray, and the front support keeps it steady, even over rough terrain. Our legs are able to pivot in the pockets, helping us achieve proper positioning. We have several mounting options. The tray features 8 tie down locations along the edge, helping us to secure our items up to 300 lbs. 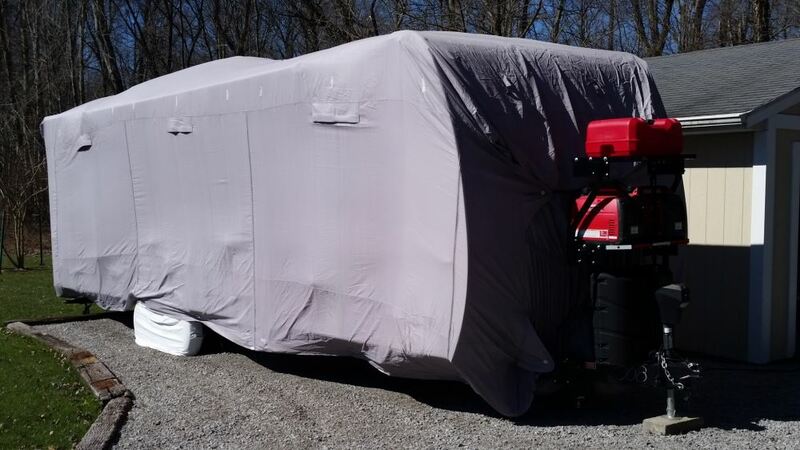 We'll go head and remove the generator so we can go over some additional features. The tray measures 32 inches long, by 20 inches wide. The surface features drain holes so we don't have to worry about any grime or water build up. From the top of our A-frame up to the bottom of our tray we have about 29 inch clearance. The whole thing is made out of a sturdy steel construction with black powder-coat finish so it's going to resist rust and corrosion. 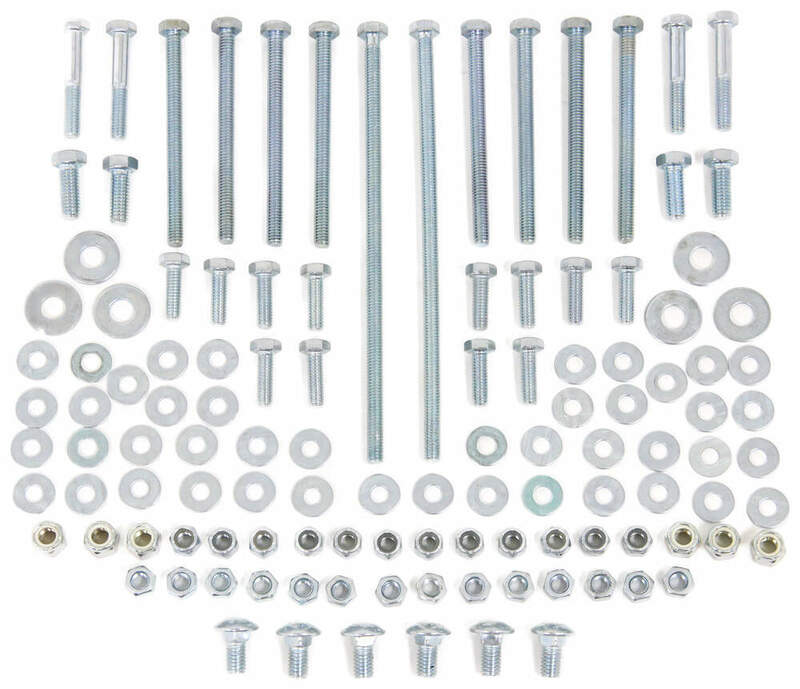 As you can see it's a bolt on installation, there's no drilling into your trailer required. Once you have you legs positioned in your pockets, you will however, have to drill out a hole using the included hardware to lock them in position. One last thing I'd like to point out is if you're mounting it to a camper with slide outs or fold outs you'll want to take it into consideration positioning your tray. That's going to complete our look at the Stromberg Carlson trailer tray cargo carrier, part number CC-255. 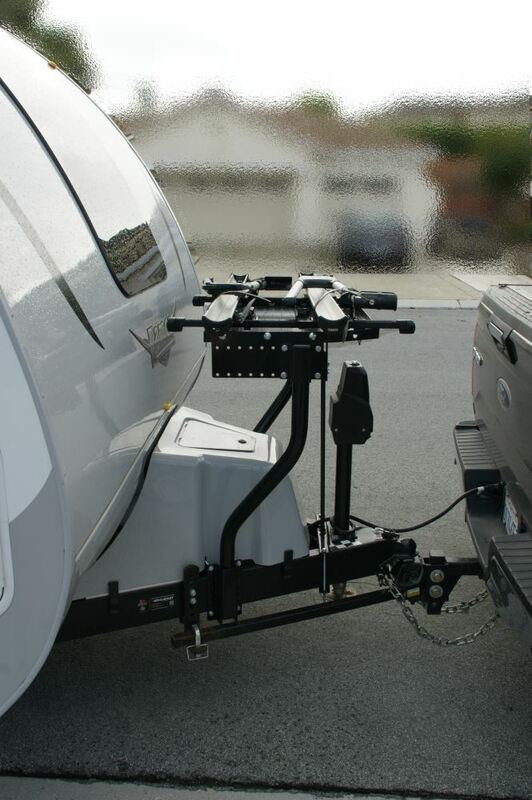 Order: RelevanceNewestRating - High to LowRating - Low to High Sturdy, powder coated steel tray mounts to your trailer's A-frame with adjustable supports so you can carry extra gear while you tow. 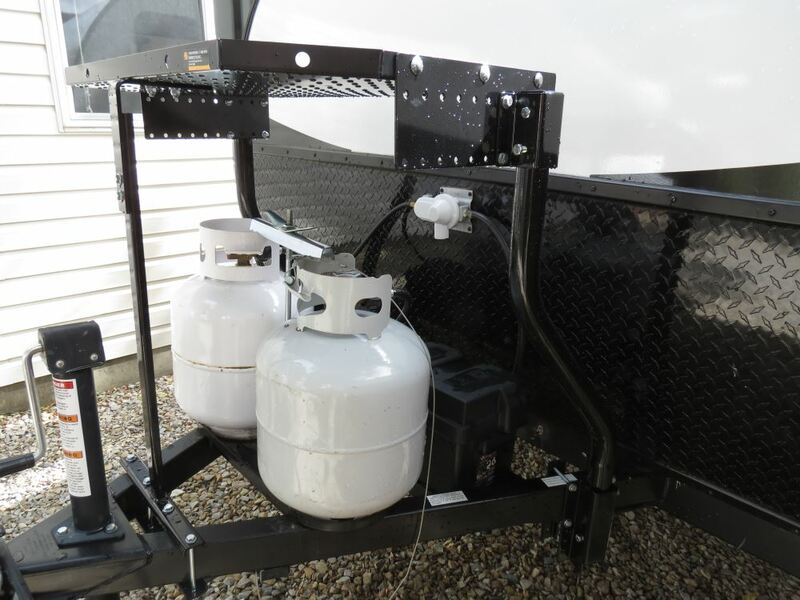 Specially designed to clear weight distribution brackets, propane tanks, and other frame-mounted obstacles. Still works good for me. Handy to put items on that I dont need inside my Aliner while camping. I am still pleased with this product, however I plan to modify my propane tank cover a bit more to allow easier access for filling tanks. The cargo carrier is a nice addition to our trailer. I ended up reinstalling it after the trailer had to go to the factory for repair. 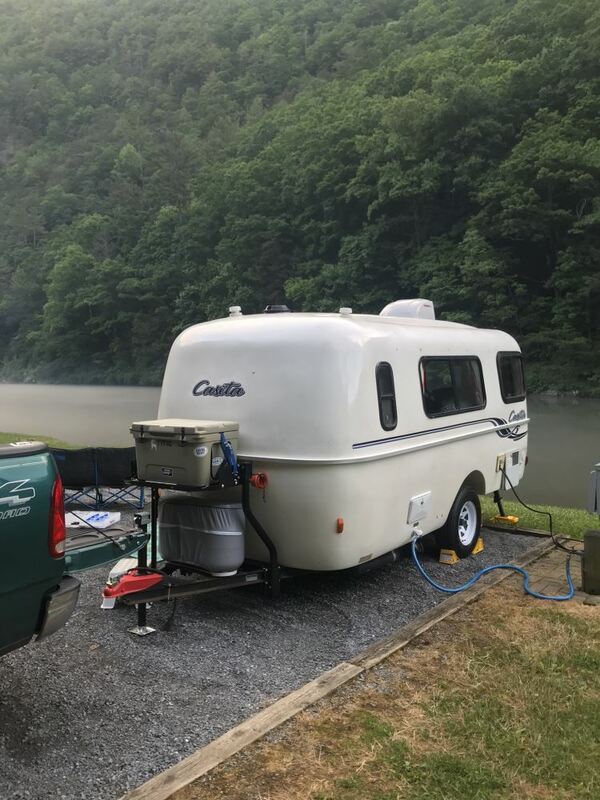 I am much more pleased with the outcome this time as I got it a little more square to the trailer and spaced slightly farther from the front wall. It would be nice if there were a locking box sized to fit the platform and large enough for a generator such as one of the Honda 2k or Generac ix2000 models, for example. I did add a couple of heavy D rings and use a bicycle lock to lock my generator to the platform and straps to hold it in place. 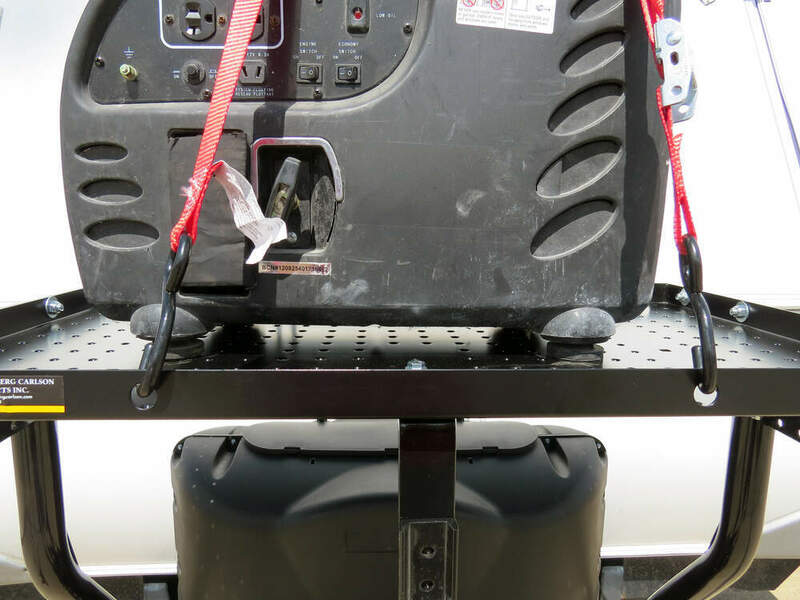 I also use a plastic bin inverted over the top with some bungee cords to cover the generator while traveling. A locking bin would be nicer. 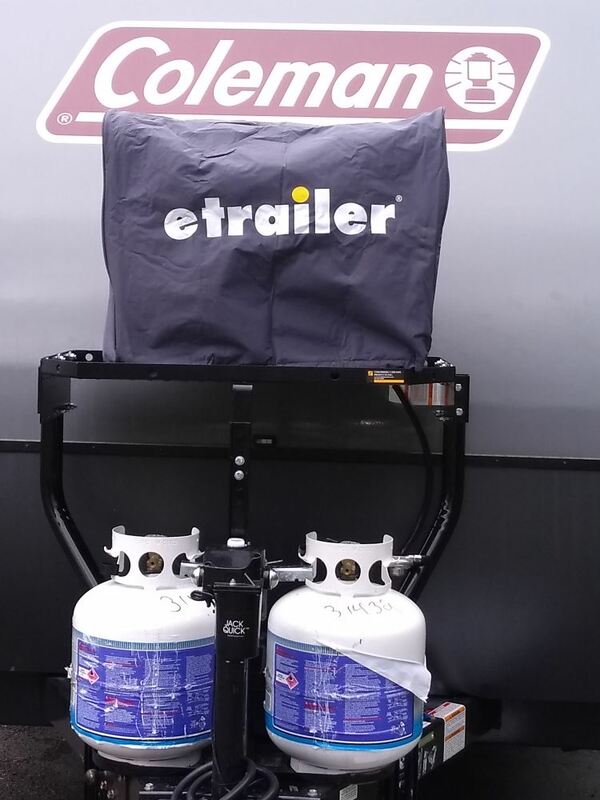 Its awesome no more lifting or dragging my generator around , Ive been down some really rough off roads with this trailer and the shelf hasnt moved its on there solid.Thanks for a great product. We have the Stromberg Carlson Trailer Tray # CC-255 which mounts to the front of an A-frame trailer. It has a 300 pound capacity and weighs about 65 pounds. It is 32 inches wide and 20 inches deep overall. I have included a link to a video review for you. If you need some ratchet straps you can use # E01418 for a 4-pack. It might make it a little more involved to get to the LP tanks, but the Stromberg Carlson Trailer Tray Cargo Carrier # CC-255 would only provide a slight interference if any at all. Basically, like the pictures indicate there will be a tray several inches above the top of the tanks. Aside from that the tanks would very easy to access. The total weight of the Stromberg Carlson Tray part # CC-255 is 65 lbs. 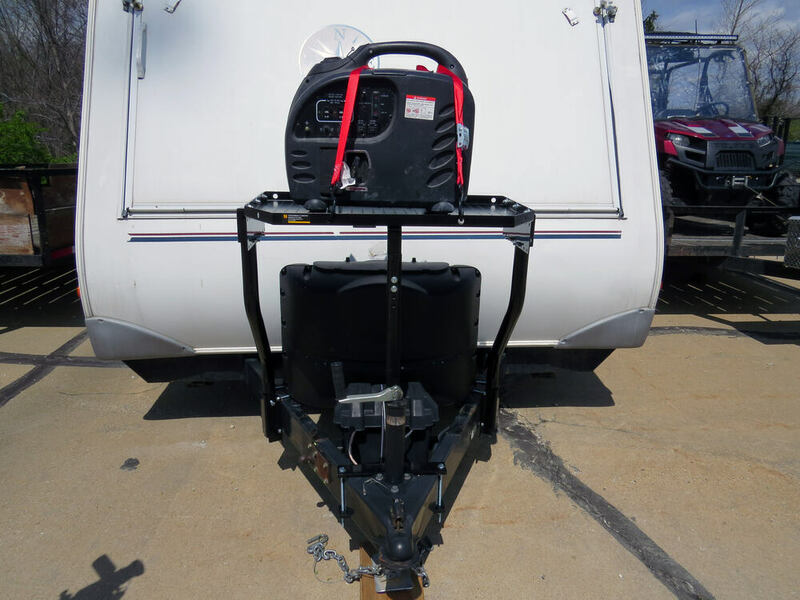 I have a great solution for you that will not require adding a hitch to the trailer so you won't have to move the spare tire and mount. Take a look at the Stromberg-Carlson cargo carrier # CC-255. It mounts at the front of an A-frame trailer frame and has a 300 pound capacity. 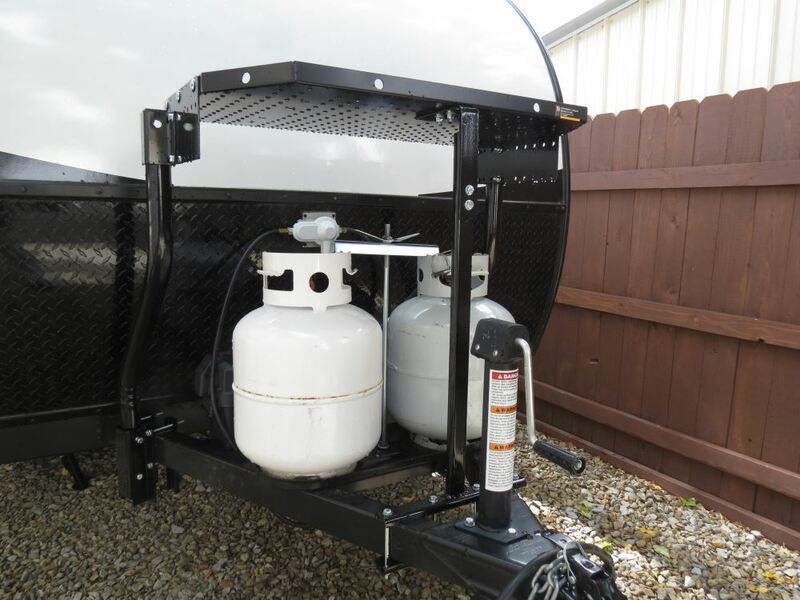 It holds the generator up above any propane tanks, jack, or other items already present at the front of the trailer. 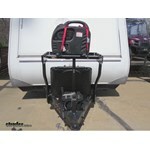 This unit will also be more stable than a hitch and cargo carrier mounted at the back of a trailer. Thank you for the picture! It looks as though the weight of the generator caused some movement in the Trailer Tray # CC-255. To level the tray, you can loosen the hardware, straighten the tray, and re-tighten the hardware. I have attached the installation instructions as an image as well as video of the tray for you. 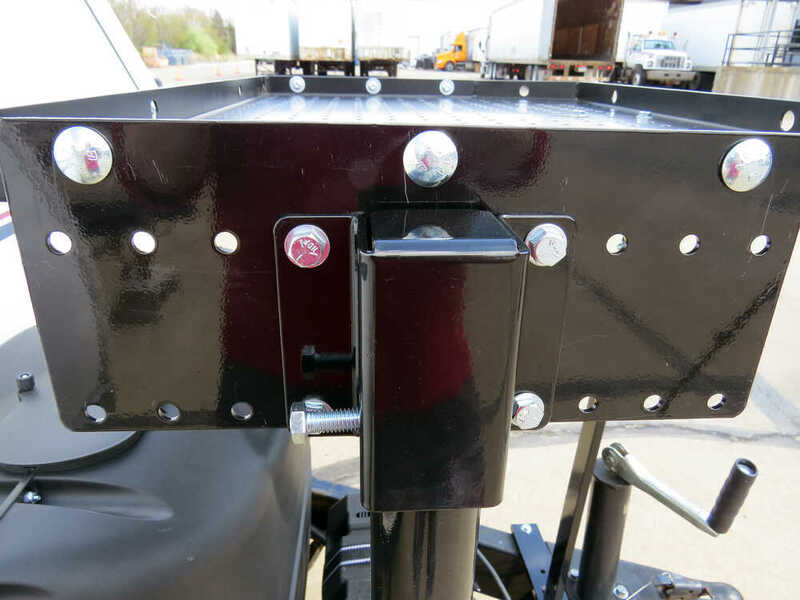 Although there is no alternative mounting hardware for the Stromberg Carlson Trailer Tray Cargo Carrier # CC-255, you could use a cable lock like part # CAB-10 to discourage theft by running it through the tray and around your trailer frame. It will be a close fit but your 18" x 25" generator will fit on the tray of the Stromberg Carlson Trailer Tray Cargo Carrier # CC-255. If you look at the linked photo you can see that the very front of the tray measures 24-3/4" long, but since the tray is 20" wide you will have enough room. If you check out the attached picture you can see that there is a reasonable amount of clearance between the tops of the tank cover and the tray which would give you the needed clearance to change the tanks out without having to remove the # CC-255. 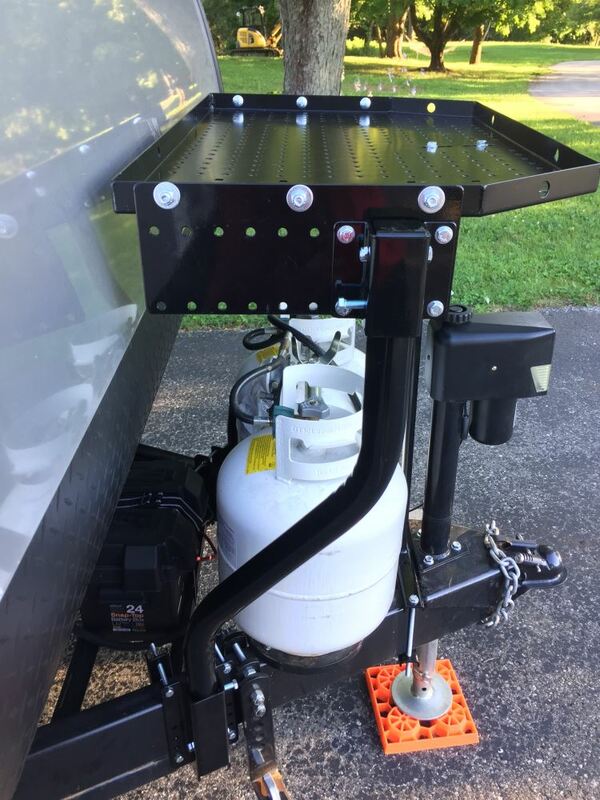 For the best results, you'll need to put a block of wood or a piece of 1/2 thick steel bar stock between the clamp bolts and the underside of the trailer frame to fill the gap and ensure that the clamps fit tightly to the trailer frame, which will prevent the tray from wobbling back and forth. The lower pocket brackets are a total of 4-3/4 inches wide, as you can see in the photo I provided for you. If you can't place any weight on the trailer in any way that limits a lot of the options. Basically you'd have to decide if you could fit in in the interior or use a bunk like part # CC-255 as a platform on the tongue of the trailer. 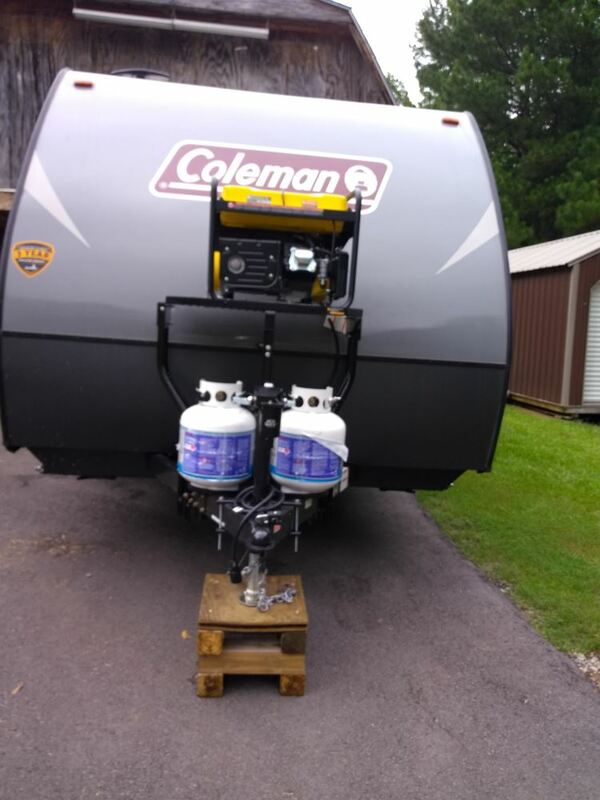 This is the most common place people will store a generator on a camper. If the Stromberg Carlson Trailer Tray Cargo Carrier # CC-255 blocks the tanks enough then you would have to take off anything on the tray then pull the top part of the tray off to change the propane tanks. But it really depends on where the tanks are relative to the position of the carrier once installed. 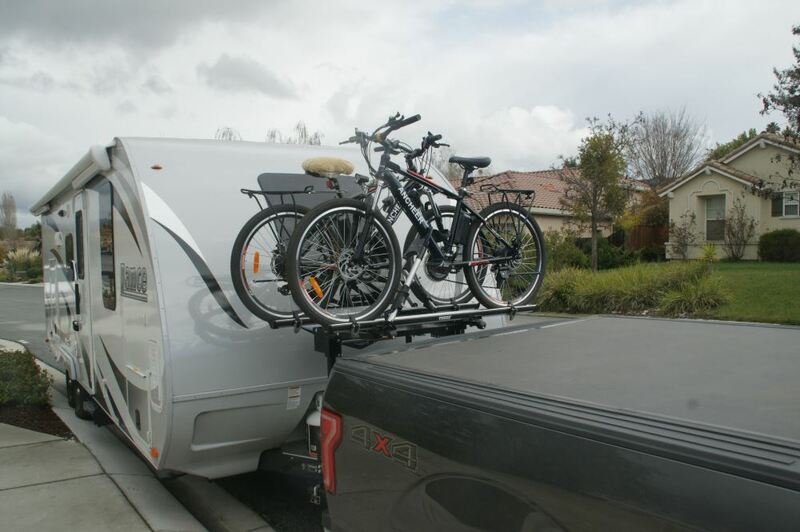 You may not have to move anything on some trailers and on others you may have to remove the cargo and tray. the only way to know for sure is to install it. The Stromberg Carlson Trailer Tray Cargo Carrier # CC-255 that you referenced has a carrying capacity of 300 lbs and a tray that measures 32 inches by 20 inches. 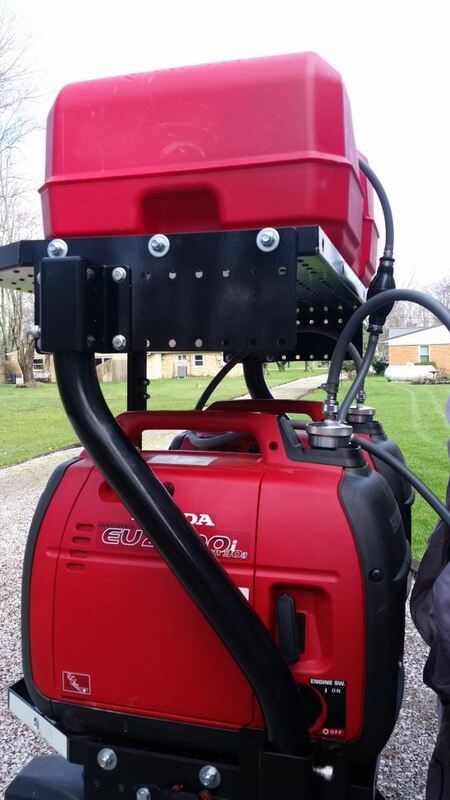 You would need to compare the weights and sizes of your two generators to those figures to know if they would fit. If you happen to have the EU2000 generator that only weighs 47 lbs you would have no problem fitting two of them up there. Yes, you can leave your generator mounted on the Stromberg Carlson Trailer Tray Cargo Carrier # CC-255 while you are using it! I would just be sure to mount the generator in such a way that the exhaust isn't pointing towards anything while in use. I looked up pictures of your Keystone Outback 324CG and it has an A-frame just like what the part # CC-255 is designed to fit so it would work well. 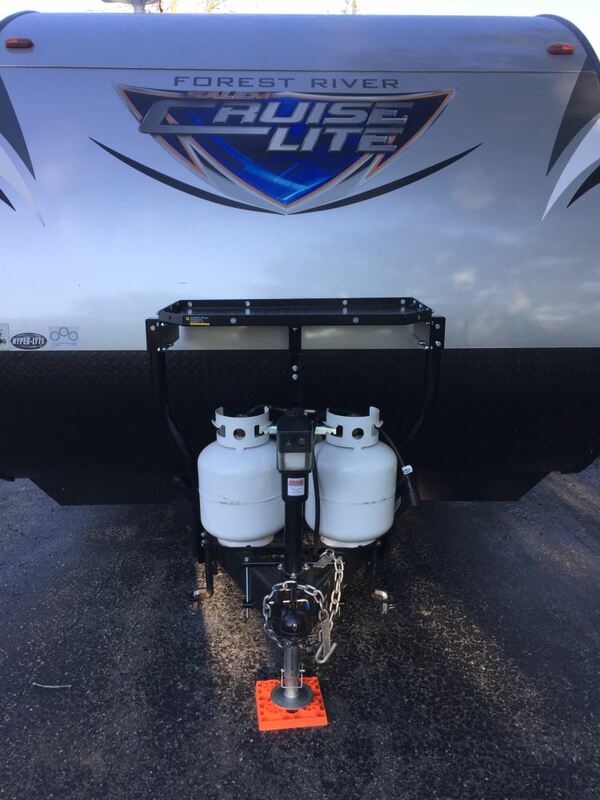 The offset of the uprights on the # CC-255 will allow the tray to set in front of the round nose on the trailer and still be above the propane tank cover.